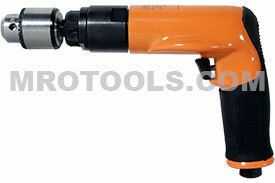 Dotco 14CNL Series Non-Reversible Pistol Grip Pneumatic Drills are equipped with Jacobs geared chucks and chuck keys. Dotco 14CNL Series Non-Reversible Pistol Grip Pneumatic Drills feature ergonomically critical finger and thumb guides for the hand to aid control. Dotco 14CNL Series Non-Reversible Pistol Grip Pneumatic Drills are excellent for aerospace, metal fabrication, and wood working application. Dotco 14CNL Series Non-Reversible Pistol Grip Pneumatic Drills are used daily in applications ranging from aerospace to oil fields and refineries. Maintenance of tools can be time consuming and expensive. That is why our Dotco 14CNL Series Non-Reversible Pistol Grip Pneumatic Drills have been designed with high parts interchangeability. With fewer parts required to repair our tools, less inventory of parts is required and tools are easier to repair. Dotco 14CNL Series Non-Reversible Pistol Grip Pneumatic Drills have long been the industry workhorse for the high-volume, high-repetition, high-precision demands of todays assembly line. Dotco 14CNL Series Non-Reversible Pistol Grip Pneumatic Drills are the ergonomic solution to deliver comfort and productivity, while assuring decreased operator fatigue, potential for injury and downtime on the line. 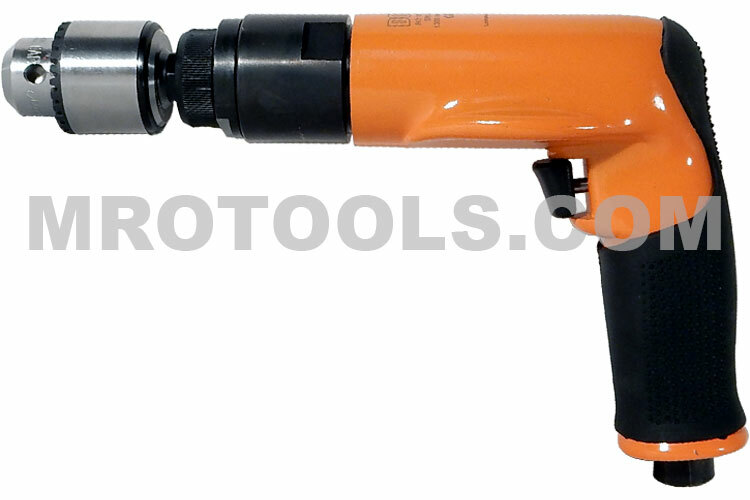 The 14CNL92-40 Dotco 14CNL Series Pistol Grip Pneumatic Drill, Non-Reversible, 3/8''-24 External Thread is one of thousands of quality tooling products available from MRO Tools. Please browse Dotco 14CNL Series Pistol Grip Pneumatic Drills, Non-Reversible for tools similar to the 14CNL92-40 Dotco 14CNL Series Pistol Grip Pneumatic Drill, Non-Reversible, 3/8''-24 External Thread. 14CNL92-40 Dotco 14CNL Series Pistol Grip Pneumatic Drill, Non-Reversible, 3/8''-24 External Thread description summary: Dotco 14CNL Series Non-Reversible Pistol Grip Pneumatic Drill (Chuck NOT Included). Termination: 3/8''-24 External Thread Free Speed (rpm): 3,200 Weight: 2.4lbs/1.09kg Overall Length: 7.2''/183mm Air Inlet Size: 1/4'' Quantity discounts may be available for the 14CNL92-40 Dotco 14CNL Series Pistol Grip Pneumatic Drill, Non-Reversible, 3/8''-24 External Thread. Please contact MRO Tools for details.